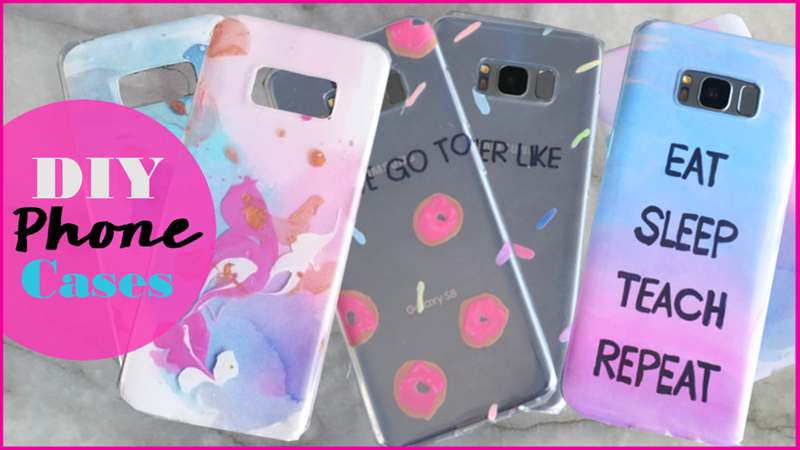 Okay, now who doesn't love a good phone case? 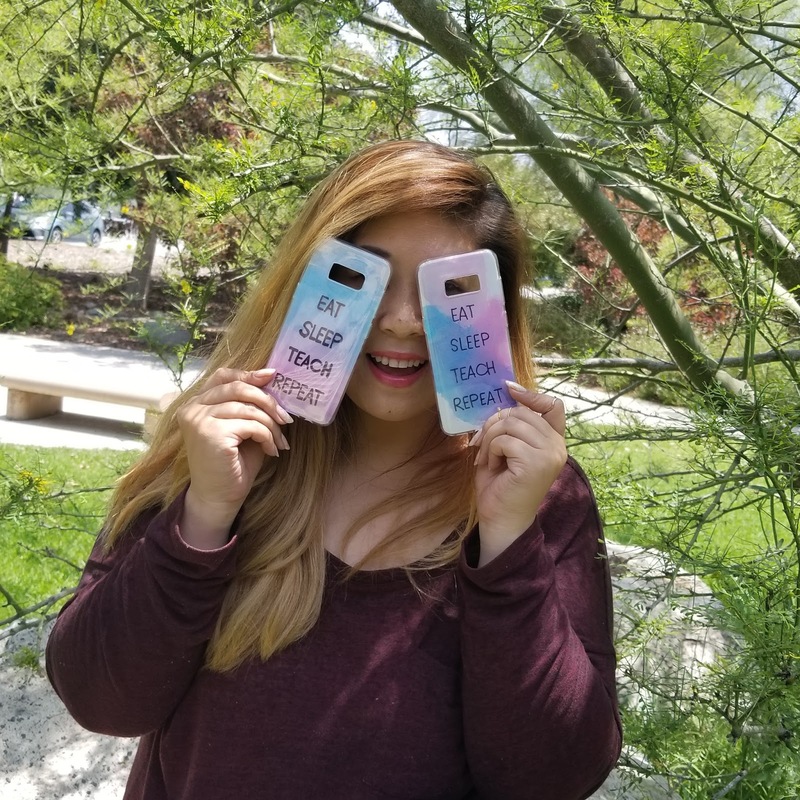 I love a cute phone case but trying to find a place to store my phone case collection is a bit difficult. Especially, since I'm not a fan of throwing things away and tend to keep EVERYTHING. So for this DIY, I made three different inserts using acetate sheets and a few other materials to switch in and out using ONLY one phone case. For the first insert, I used the Distress Inks by Tim Holtz and I have to say they are my favorite. I pressed the ink pad onto a piece of acetate sheet, added water and began brushing it onto a piece of paper. I made another design as well and this one is my absolute favorite. I went ahead and pressed the ink pad onto the acetate sheet again, added water, but instead of brushing it onto the paper.. I flipped the acetate sheet directly onto the paper and blended it out. I know the directions are a bit all over the place but my youtube video shows you exactly what I did =). After all that, I traced some words onto a piece of acetate sheet, cut down to the size of my phone case. 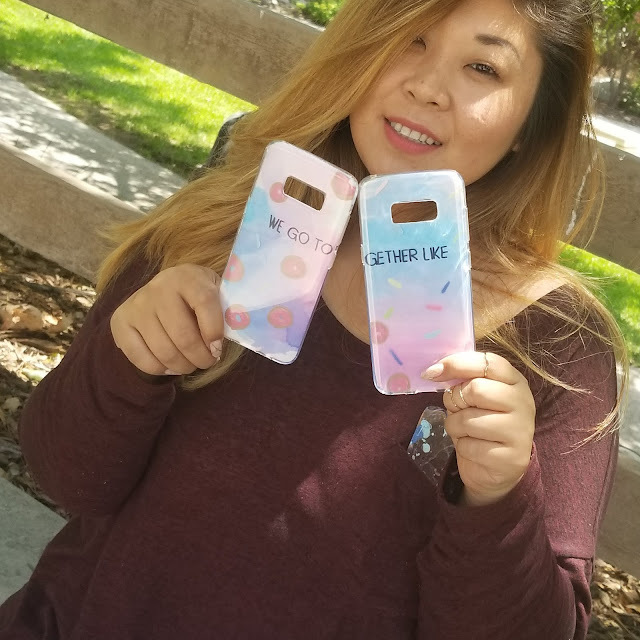 I saw a shirt with the same words and thought they would look cute on a phone case. For the second insert, I decided on making a marble design. Starting with a container of warm water, I picked out three polishes that complimented each other well. I began letting the polishes drip in various places onto the water. Work quickly or else the polishes dry and it'll be harder for them to grip onto the acetate sheet. I used the watercolor as the backing but you can use them clear. Most of the time I like the back of my phone to show through the case but sometimes a full opaque case works too. This last insert is a set that I made with one of my best friends in mind. I combined the use of a sharpie and nail polishes for this one. I took a phrase and split it into two that would fit both cases when combined. I then took the nail polishes I had on hand, drew on both donuts and sprinkles. 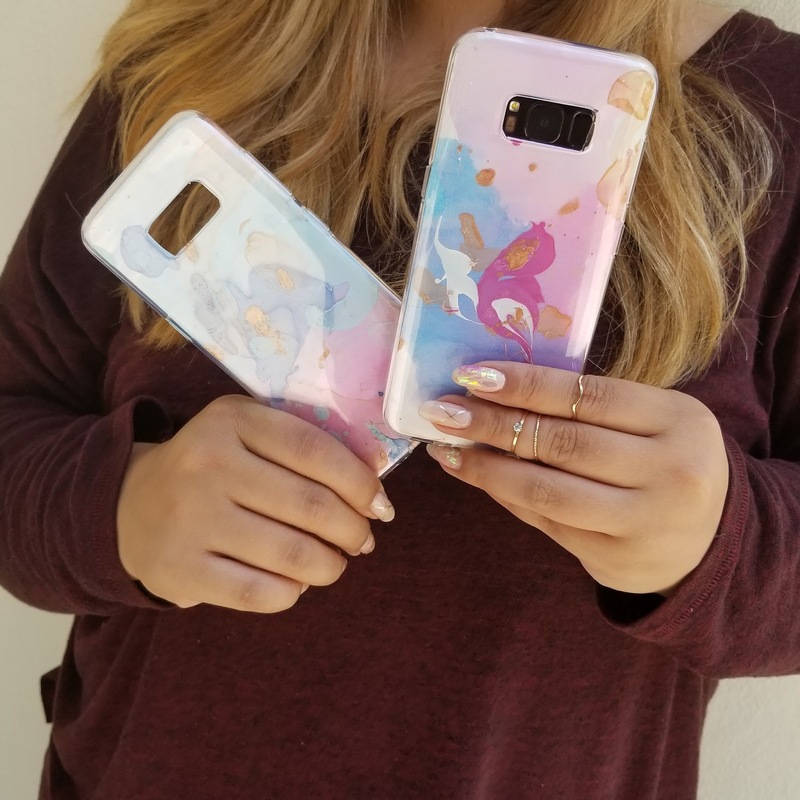 I used the same watercolor as a backing for better pictures but this design looks great alone with a clear case. Well, that's it for this post. If you want more detail on the process and to view a tutorial check out the video on my youtube channel - hiiyooitscat. You can also view the video below. If you enjoyed this post and the video, please take the time to check out my new YT channel, like, comment, and subscribe to the channel. Thank you!